Supervisor Don Knabe was on-hand to help open the City of Long Beach Department of Health and Human Services (DHHS) new Miller Family Health Education Center (FHEC) located at 3820 Cherry Avenue in Long Beach. The building’s completion marks the culmination of a six-year, public-private partnership. 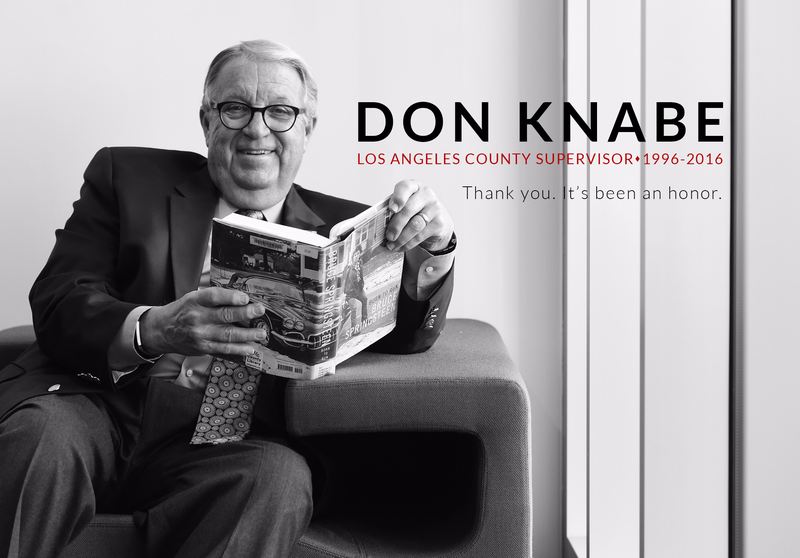 The City of Long Beach has taken a leadership role in creating a health education center that is important to local residents because it is focused on our diverse population, said Knabe who represents Long Beach. Much of what we do in public health deals with education and prevention. The most unique feature of the FHEC is the Multicultural Pavilion, a conference training facility with simultaneous language interpretation technology to deliver program content to audiences in three languages simultaneously. The 2000 Census identified the City of Long Beach as one of the most ethnically diverse large cities in America. The census also pointed out that over forty percent of Long Beach households do not speak English at home. The Miller Family Health Education Center is an innovative approach towards reaching the entire community in a culturally and linguistically appropriate fashion. The FHEC will reach diverse community members dealing with chronic diseases like diabetes, a condition over-represented in African-American and Latino populations. Presentations on managing medications can be presented in Spanish and English at the same time. The facility will also accommodate childcare services for families attending health education workshops and meetings. Some of the outreach and education programs, which were brought together to operate out of the FHEC, will focus on Latino Diabetes management, Child Health Disability Prevention, Tobacco Education and HIV/AIDS prevention, among others. The state-of-the-art center is dedicated to community and provider health education, leadership development, and collaborating with community residents as well as health and human and social services providers in the greater Long Beach area. Partnering organizations that provided capital and programmatic support include Kaiser Permanente, which donated the building, the Earl B. and Lorraine H. Miller Family Foundation, The California Endowment, the Boeing Company and the Center for Natural Lands Management. Additional local and regional organizations and foundations such as the Bixby Land Company, the Port of Long Beach, Molina Healthcare, the John H. Hancock Family Foundation and the City of Long Beach Board of Health and Human Services have joined the FHEC Circle of Giving in support of the center. A $1.75 million Coastal Nonpoint Source Program Grant from the Proposition 13 Clean Beaches Initiative has been authorized for the Marina Beach Water Quality Improvement Project. Grant funding follows completion of Phase I of an intensive study aimed at addressing chronic bacterial contamination at Marina del Rey’s only beach. It has always been our goal to provide consistently good water quality at Marina Beach, said Supervisor Don Knabe in announcing the grant. This funding will make possible an environmentally sound solution to the problems at one of our most popular beaches for young families. Phase II is a two-part project: Part 1 that involves redirecting of local storm water run off from the waters of Marina Beach and Part 2 that involves the installation of two water circulators, or submersible banana-bladed pumps, within the Beach waters to reduce high concentrations of pollutants. The $1.75 million grant would fund Phase II. A resolution approving Phase II of the Marina Beach Water Quality Improvement Project and accepting the grant funding was passed by the Board of Supervisors at its meeting held Tuesday, February 24.